This one was the best I could find over 20 years of collecting and dealing as I used to replace with the best one over the years. I have sold most of my collection but this is one of the last remaining. 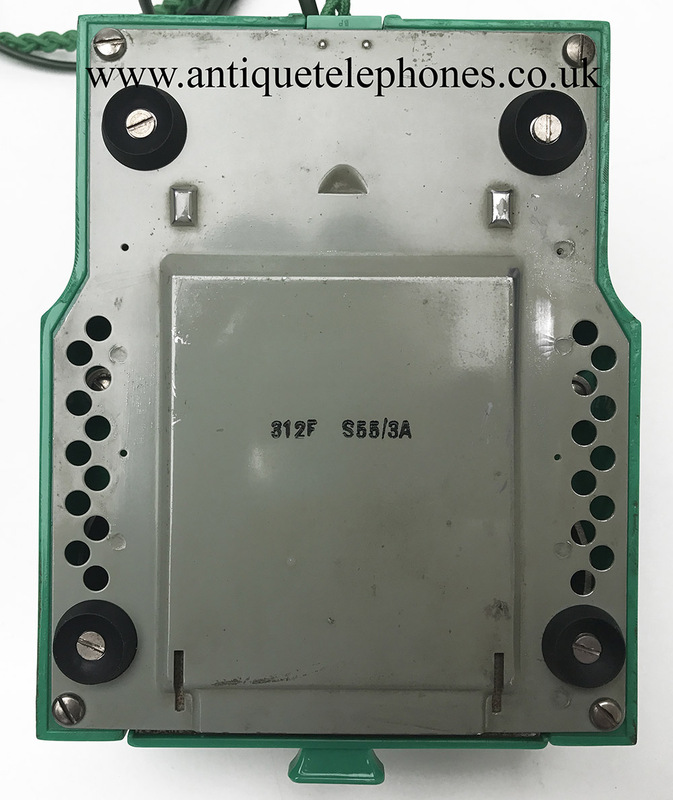 I have stripped it down and rebuilt it after each part was cleaned and polished. 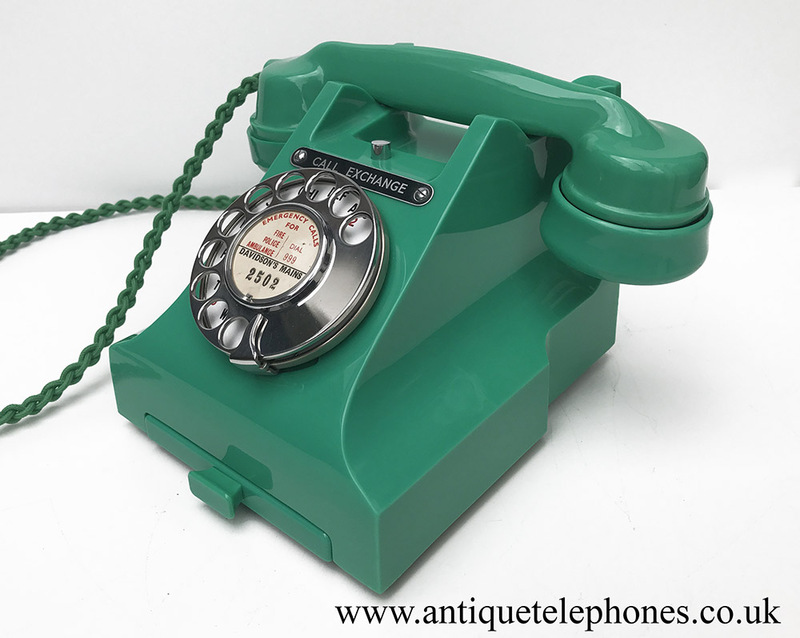 It has a very best quality hand plaited braided handset cord and a GPO specification round plastic line in cord with a UK telephone plug. My new video system would show up any faults and so please take a look to satisfy yourself. 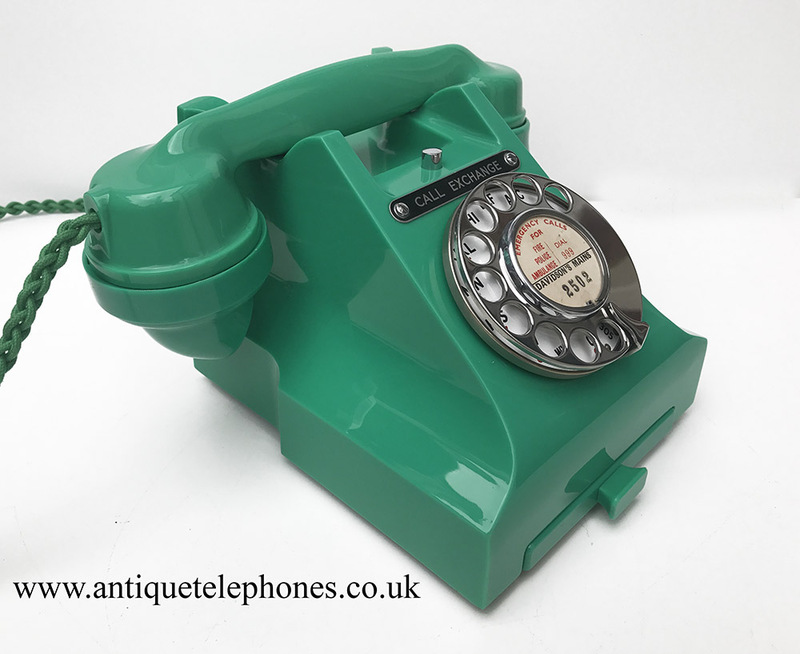 It has a perfect enamel faced No12 GPO dial and a rare GPO crested GPO drawer from 1937. I used to save these drawers for all my very best telephones in my collection. 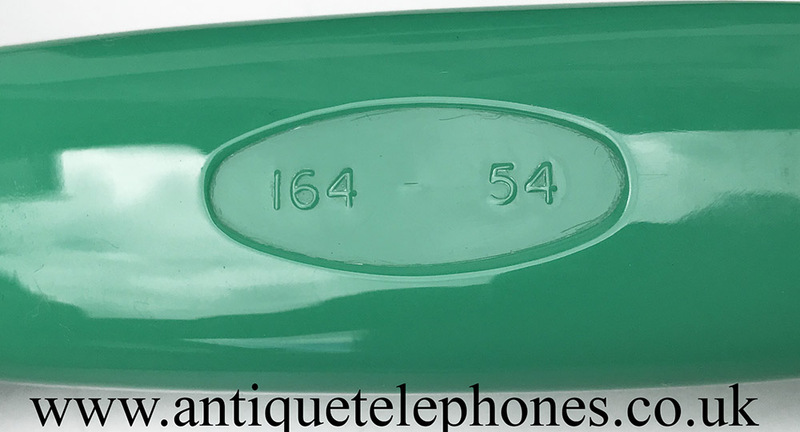 The handset is dated 1955 and the base 1954. 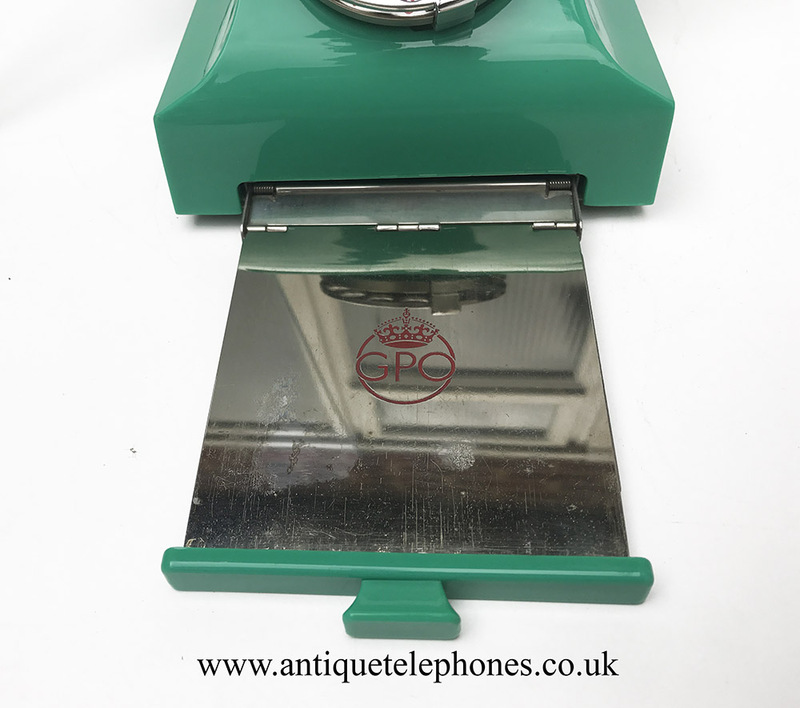 It has a genuine GPO dial label it came with. 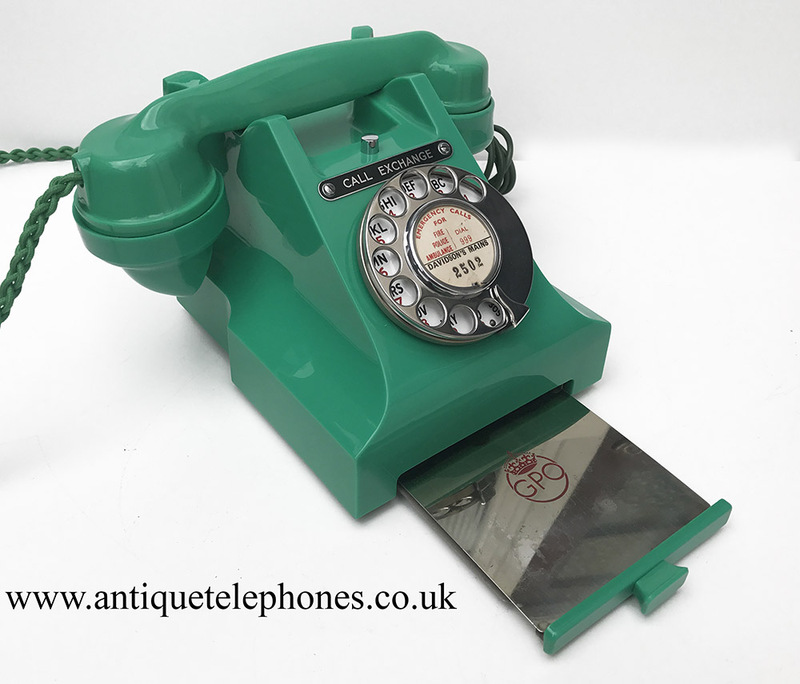 It is fully working to dial out and receive perfectly and has been fitted with an electronic microphone. If you are interested and want to see it first please contact me to make an appointment. 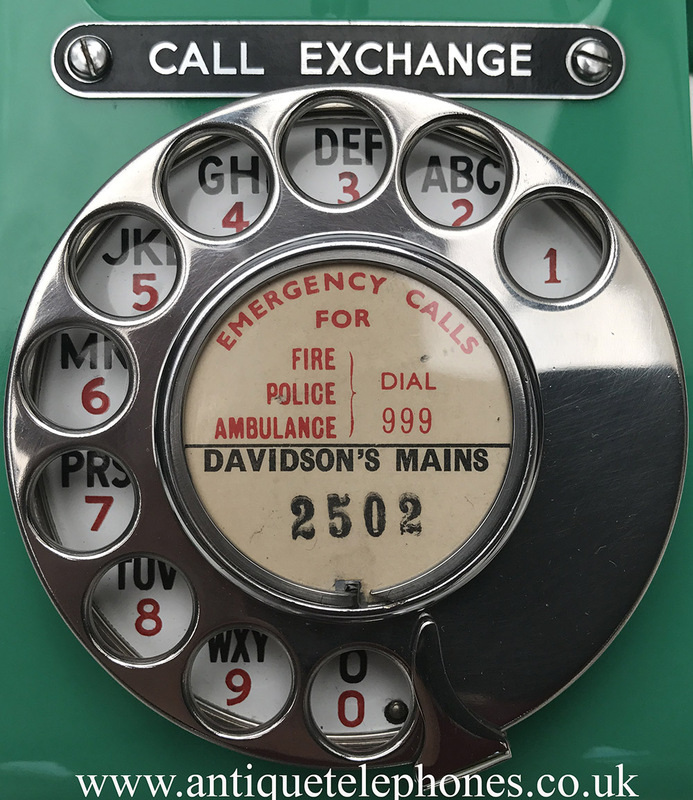 I can make a dial label with your information if required. 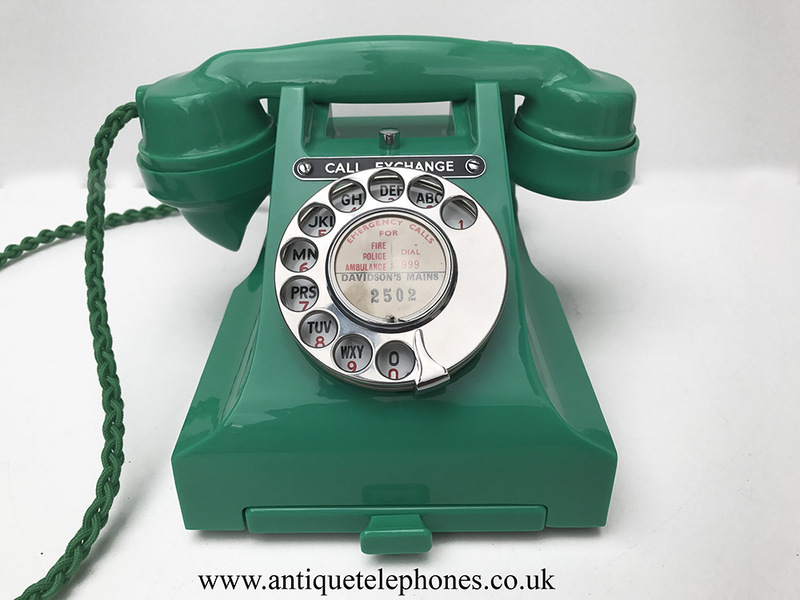 Originally started life as a figure only dial but has been upgraded over its lifetime.